A recently published email by Wikileaks identifies 28 members of the media who were invited to an “off-the-record” dinner party at the home of Clinton campaign manager John Podesta three days before Hillary Rodham Clinton announced her 2016 campaign run. Clinton announced her candidacy on April 12, 2015. 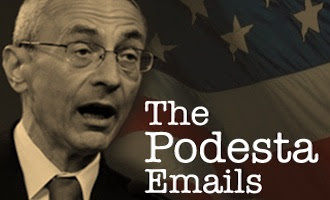 On Thursday, April 9, 2015, a 7:00 PM dinner party was held at 3743 Brandywine St NW in Washington, DC, the home of Clinton campaign manager John Podesta. Read the rest at Canada Free Press.